Yesterday, ISOs appeared on Microsoft's servers for what was presumed to be the 'RTM' build for the upcoming Windows 10 Creators Update. 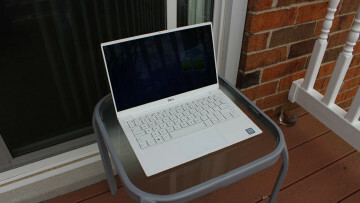 With PCs and phones in the Insider Fast ring, PCs in the Slow ring, and consoles on the Xbox Insider Program all running Windows 10 build 15063, there was little doubt that that build was the one we've been waiting for - especially when you also consider that the SDK and Mobile Emulator for 15063 also appeared online last week. 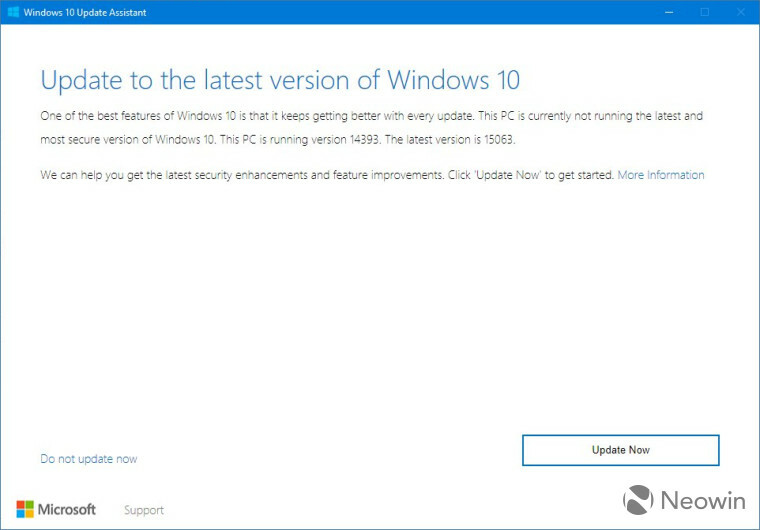 Now, it seems there's no further room for doubt, as Microsoft's own Windows 10 Update Assistant has confirmed that build as "the latest version" of the OS. A new edition of the Windows 10 Update Assistant, which was temporarily available to download here, was revealed by the mysterious WalkingCat on Twitter a few days ago. 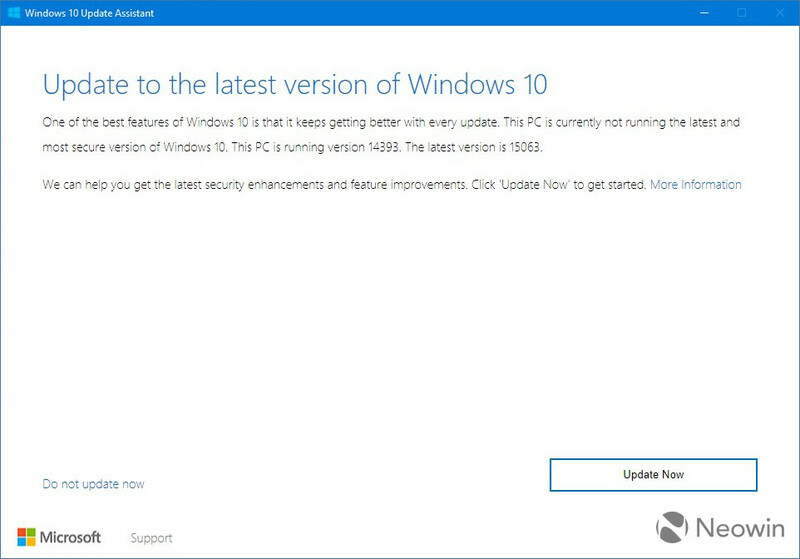 Initially, the new Update Assistant would not allow users to actually download the build - but now, as Twitter user WZor spotted, Microsoft has enabled the download, allowing users to immediately update their systems to Windows 10 build 15063. 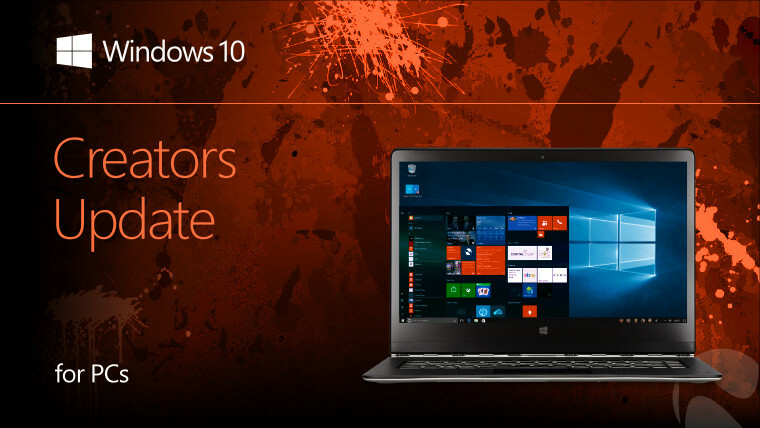 Be aware that the version of the Update Assistant for the Creators Update is different to that released for the Anniversary Update last year. If you run the previous edition of the Assistant on a PC running the Anniversary Update (or earlier Windows 10 versions), it will tell you that your device is up to date, and won't offer any further options. Microsoft hasn't yet announced when it plans to roll out the Creators Update, but it has said that it will be released initially for PCs, before making its way to other devices later. But as Victor Denancy pointed out to us on Twitter, there are indications that its rollout will begin on April 11. You can find out more about the new features and improvements coming in the Windows 10 Creators Update here. Update: It appears that Microsoft has deactivated the link to the new edition of the Windows 10 Update Assistant tool. The article has been updated accordingly.